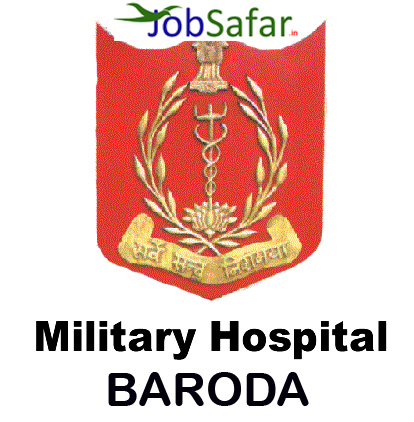 Military Hospital Baroda has published Recruitment notification for civilian vacancies for various posts. Check more details like Total posts, age limit, Fees, Selection process, how to apply and all details are given below. 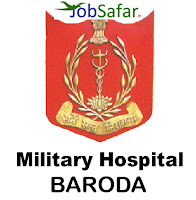 Daily visit JobSafar website. please read it and forward to all needy friends. Name of Posts: Tradesman, Washerman, Safaiwala, Mali, Chokidar, Ward asst, Messenger etc. Interested and eligible aspirants should apply in prescribed application form along with self-attested copies of relevant documents on or before 21 days from the Date of Publication (01-12-2017). Hi Friends! We are provide career way to you. We Provide Competitve Exams Like GPSC,TET-HTAT, Talati,Police,CLerk,Bank,Railway, Forest, GSSSB etc related news, Result, Merit and much more..To get updates Add 9408950351 in Your All WhatsApp Groups. Happy Job Journey. © Copyright 2017 JobSafar. Designed by ActiveLodhva.